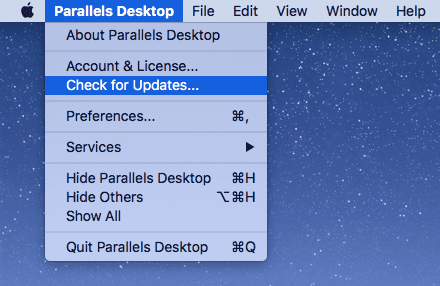 Our engineers have been hard at work after we released Parallels Desktop 12 for Mac was released! We’re committed to bringing you the best product we can provide; Hundreds of development hours go into Parallels Desktop so we would like to share with you the latest HotFix details released September 19th, 2016. Resolves printing issues from Windows using a shared printer from Mac. This error message “There was an internal error and Parallels Desktop is unable to print this document” – is now fixed! Resolves an issue with the following command: Ctrl + mouse click or tap not opening a context menu in virtual machines. Yikes! We got this taken care of for you. Resolves an issue with the “Web Pages: Open in Mac” feature not working in some builds of Windows 10 virtual machines – our cohesiveness across Mac and Windows is truly seamless! Resolves an issue with unexpected desktop space switching when using a virtual machine in full screen with external displays – ensuring no matter what type of external display you’re using that you don’t have wonky resolution formatting! Resolves an accidental case sensitivity issues with files on Shared Folder – making Share Folders even easier to access. We strongly suggest that our customers keep their copy of Parallels Desktop up-to-date to make sure you have minimum issues and maximum performance. Special thanks to our support department for the hard work behind the release. If you’re asking yourself on whether or not you want to try Parallels Desktop for Mac 12 you can download our free 14 day trial here.